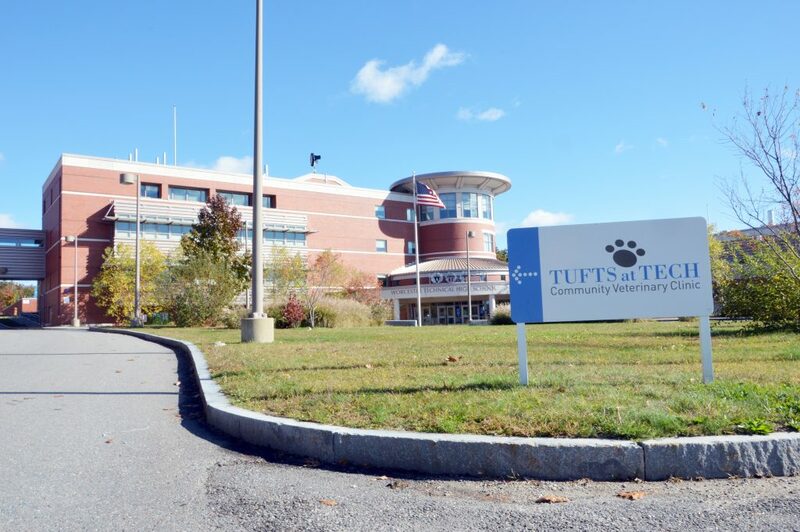 Tufts at Tech is the first and only veterinary teaching clinic of its type in the country. Tufts at Tech provides a teaching environment that empowers students to change the lives of their clients through treatment of their animals by providing high-quality care that otherwise they could not afford. The Tufts at Tech brochure is available online for your convenience. Tufts at Tech Community Veterinary Clinic provides citizens of Greater Worcester with compassionate and affordable veterinary care. Our clientele must pre-qualify to receive our significantly subsidized animal care. 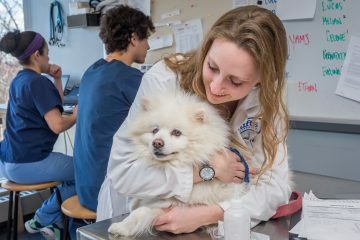 Under the leadership of Dr. Greg Wolfus, the Tufts at Tech student-run veterinary clinic provides low-cost care for family pets within Central Massachusetts' underserved communities. 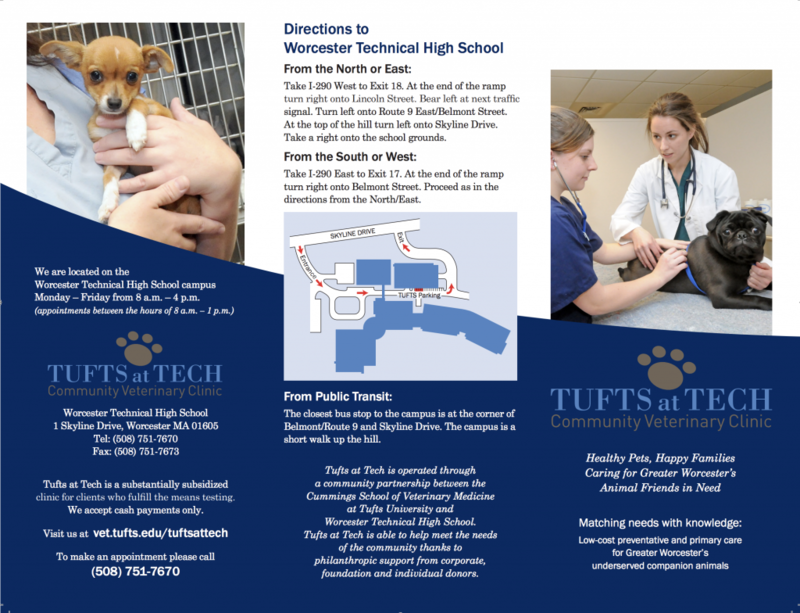 Together, Cummings School of Veterinary Medicine at Tufts University and Worcester Technical High School address the healthcare needs of the area's beloved animal companions. Tufts at Tech is an innovative teaching facility for students at Cummings School and students at Worcester Technical High School. Final Year Doctor of Veterinary Medicine (DVM) candidates and Worcester Technical High School students within the Veterinary Assisting program work collaboratively under the direction of experienced, highly-trained veterinarians and certified veterinary technicians to provide quality primary care for your family pets. See the full list of donors.